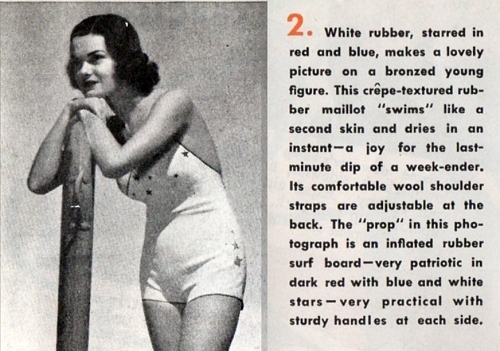 Five tips for summer fashions from June 1933. Left is Butterick 5149. Delineator, page 61. As the really hot weather approaches, here’s one topic Corey thought we all have on our minds: Gloves! Glove advice from Delineator, June 1933. Matching print fabric gloves, hat and bag — all made from Butterick patterns. Delineator, August 1933, p. 52. Organdy gloves and handbag, “to wear with your dark dress that has organdy touches on it.” August 1933, Delineator, p. 52. Three Butterick dresses with organdy accents, Delineator, June 1933, p. 64. Notice the sheer areas in the sleeves. 5186 used a heavier, stiffer organdy. It should be noted that fashion advice from Delineator magazine — not coincidentally –often mentioned Butterick patterns. Delineator was part of the Butterick Publishing Co. empire. White piqué hat (Butterick 5256,) gloves (Butterick 5225,) and bag (Butterick 5274.) Delineator, August 1933. Glove advice from Marian Corey, Delineator, August 1933. Butterick glove pattern 5225 from July 1933, Delineator. This pattern was featured in both July and August. Dresses worn with gloves made from Butterick 5225, July 1933. Delineator. Gloves and a bag made from taffeta; Butterick patterns, August 1933. More accessories made of piqué ; Butterick patterns from Delineator, August, 1933, p. 52. 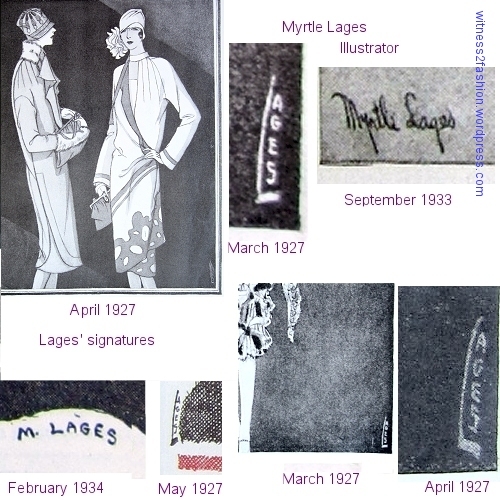 The illustrator is Myrtle Lages. OK, I confess, the “No” paragraph about gloves was not really the first paragraph of the article about Summer fashions. The first paragraph was a “Yes” — about fur! “Silver fox and blue fox are the furs” for trimming summer dresses,” or rabbit if your budget is more modest. Delineator, June 1933. Butterick summer outfits trimmed with fur: From left, patterns 5176, 5178, and 5168. Delineator, June 1933, page 62. Butterick coat pattern 5164 from June 1933. Everyone who owns a dark printed silk dress… should have a white piqué swagger coat to wear with it.” Butterick 5164; Delineator, June 1933, p. 62. This style was only available in smaller sizes — an early use of “Junior Miss” patterns. So, fur and gloves aside, what more practical fashions for summer were recommended in 1933? Bicycle clothes, tennis dresses, beach pajamas, slacks and shorts — all coming up in Part 2. I’m perspiring as a write this, but am about to go for a walk wearing gloves. Dr’s orders. Vampire gardening! I love it! I hate the way sunscreen makes the dirt stick to my arms. A Japanese $1.50 store called Daiso carried a sort of sleeve — lycra with elastic at bicep area and wrist area — that covers the part of my arms that my shirt and garden gloves don’t cover. Not available online, apparently, but I could just cut up a thrift store long-sleeved knit shirt and put elastic in the top of the sleeves. In 1978 I was able to visit Greece — wearing a wide brimmed hat, long sleeved shirt, and long trousers while visiting ruins — but I forgot one part of my body: I got blisters on the backs of my hands! “They look very ‘gracious lady. '” And here I thought Sears made up the term “gracious lady” for their clothing line aimed at the older set. It turns out that it must have been a common saying!